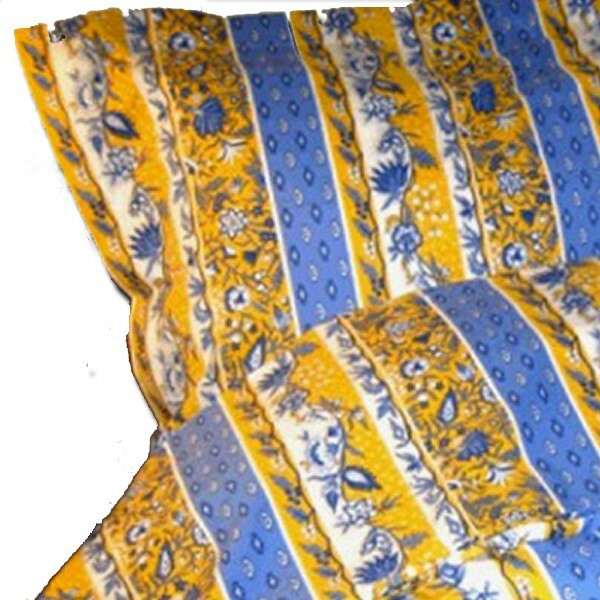 Our King Sham Manosque Blue and Yellow is industry standard size 21″x36″ and goes well on either King or Queen Beds. Our exclusive design Manosque is one of the oldest Provence designs available today. 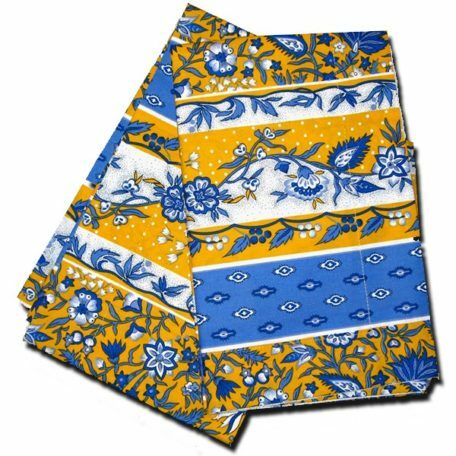 It has beautiful flowery motifs organized in stripes and its coordinate design called Joucas in an all over pattern. 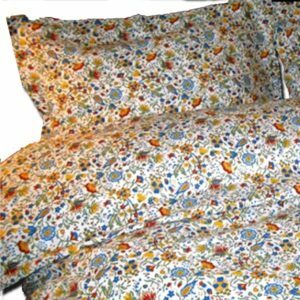 Because of its original beauty, you and your family will enjoy these magnificent Provencal Shams for years to come. 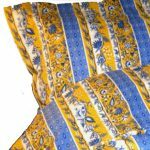 Our French Pillow Shams Manosque Blue & Yellow come in pairs and have a 2″ fringe for additional style. 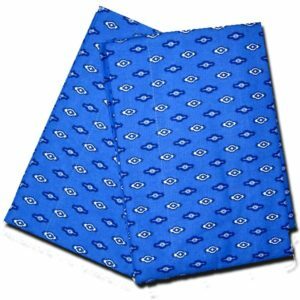 We use only the best available cotton pre-washed and pre-shrunk in France to avoid fading of rich colors of Provence and disappointing shrinkage after the first wash.
Our exclusive design Manosque is one of the oldest Provence designs available today. 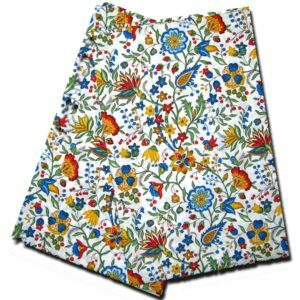 It has beautiful flowery motifs organized in stripes and its coordinate design called Joucas in an all over pattern.